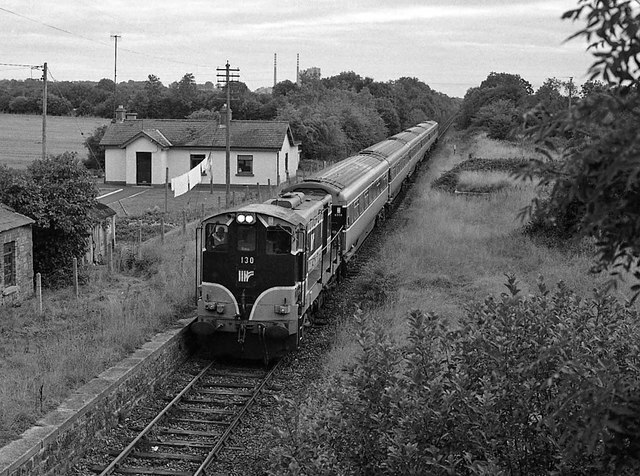 Heading for Navan, Irish Rail 121 class diesel locomotive No. 130 hauls a rake of Mk3 push-pull stock past the closed Duleek station. The return working from Navan to Dublin (Connolly) operated in connection with the Meath v Down GAA All-Ireland football final.